To find out if a building project is eligible for LEED certification, a candidate should review the LEED Rating System Checklist that applies to the project. These rating systems apply to building types that include-but are not limited to-offices, retail and service establishments, institutional buildings (such as schools, libraries, religious institutions, and museums), hotels, and residential buildings of four or more habitable stories. To achieve LEED certification, a building must earn a minimum number of points out of a possible 110 points. The rating system addresses these seven areas: sustainable sites, water efficiency, energy and atmosphere, materials and resources, indoor environmental quality, innovation in design, and regional priority. To obtain LEED certification for a project, an applicant must submit documentation that verifies compliance with the requirements of the rating system and pay registration and certification fees. The Green Building Council responsible for issuing the LEED system used on the project is the entity that grants certification. 2. A school project being built on a previously developed site intends to use buffalo grass as part of the landscaping because it is native to the area in which the project is located. Which one of the following credits will the use of native vegetation contribute toward, as opposed to the use of non-native vegetation? 3. The owner for a proposed community center has asked the architect to find a site that meets the requirements of SS Credit 2 – Development Density and Community Connectivity. Which of the following sites would be most likely to help earn 5 points for this credit? B. A previously developed site that is located 2 blocks away from a downtown that is, on average, made up of four-story buildings and is next to a neighborhood of duplexes with a density of 8 units per acre, with the rest of the housing consisting of single-family units. 4. The architect on an office building project is attempting to calculate how many bike racks and showers are required in order to obtain points for SS Credit 4.2. The building will have 100 full-time employees and 50 employees that work half time. In addition, it is anticipated that the building will have 100 visitors per day, with the peak number of visitors at any one time equaling 30. How many bike racks and showers are required? 5. An architect is considering different roofing systems for a police station. The building will have a combination of EPDM and standing seam metal roofing, with both being low sloped (a slope less than 2:12). Which one of the following combinations of roofing materials would not earn a point for SS Credit 7.2 – Heat Island Effect – Roof? 1. B and C: These sites may qualify for SS Credit 1. The sites in answers A and D are specifically prohibited by the requirements of this credit because building on these sites would be more likely to cause environmental damage, or in the case of building near a flood plain, be subject to environmental damage. Answer B is correct because a site can be within 100 feet of a water body (sea, lake, river, stream), as long as it is not within 50 feet. Answer C is correct because there are no requirements that prohibit a brownfield from meeting this credit. Rather, developing sites that are defined as prime farmland is prohibited. Remediating and developing on a brownfield would actually improve the environmental impact of the building, not make it worse. 2. A: The requirements of SS Credit 5.1 state that if the site is previously developed, a minimum of 50% or 20% of the site area must be restored or protected with native or adapted vegetation. Using buffalo grass would therefore qualify. For SS Credit 5.2, vegetated open space must be provided, but there is no requirement that the vegetation be native. For credit SS Credit 6.2, native vegetation could be useful for treating runoff, but non-native vegetation can be used for this purpose as well. Finally, for WE Credit 1, it is likely that native vegetation would be best suited for not requiring irrigation or saving water because it is already adapted to the climate in which it is being planted; but again, it is not necessary that the vegetation be native. Non-native vegetation can also minimize water used for irrigation. 3. B: This answer is correct because it most likely meets the requirements of Option 1 – Development Density. This option has no requirement for residential density, just that there be a minimum density of 60,000 sf/acre. Answer A is not correct because the site being developed is a greenfield, and the site must have been previously developed in order to qualify for this credit. Answer C is less likely to meet the requirements of this credit because it is next to a highway and may not have pedestrian access to any services located on the other side of the highway. Answer D is incorrect because it would probably not qualify for Option 1 – Development Density, and Option 2 – Community Connectivity requires a residential density of 10 units per acre, which single-family housing would be unlikely to meet. In order to determine the number of bike racks necessary, one must multiply the number of FTEs by 0.05, multiply the peak number of visitors by 0.05, and add those results together. The number of FTEs is 125 because two half-time employees equal one full-time employee (100 + 50/2 = 125). 125 × .05 = 6.25. The number of peak visitors equals 30, so 30 × .05 = 1.5. (6.25 + 1.5 = 7.75), which must be rounded up to 8 bike racks. In order to determine the number of showers needed, one must multiply the number of FTEs by 0.005. We have already determined the number of FTEs to be 125, so 125 × 0.005 = 0.625. This must be rounded up to 1 shower required. 5. D: All of the other choices would earn a point for SS Credit 7.2 except answer D. For low sloped roofs with a slope lower than 2:12, the weighted SRI of the roof must be 78 or greater over 75% of the roof area in order to earn this credit. The weighted SRI for answer A is 80, so it qualifies (100 × .5 + 60 × .5 = 80). One can see that answer B has an SRI of 100 over 75% of the roof area, so it automatically qualifies and no calculations are necessary. For answer C, both roofing materials have an SRI above 78, so no calculations are necessary. The weighted SRI for answer D is 75.5 (75 × .9 + 80 × .1), so this roof would not qualify for the point. The LEED (Leadership in Energy and Environmental Design) is a ratings system that certifies buildings as meeting established standards of energy sustainability and environmental friendliness, both in their interior environments and in their effect on the surrounding ecology. It was created by the United States Green Building Council (USGBC), a nonprofit organization founded in 1993 to promote sustainable, environmentally friendly building design. A building or construction project that receives a sufficiently high score on the USBGC’s LEED checklist is awarded a certificate signifying its level of compliance with the LEED standards. Depending on the degree to which a building project meets the standards, it can be awarded anything from a simple certificate for a minimum level of compliance to a platinum certificate for meeting the highest possible standards. While the LEED rating system was developed by the USGBC, the LEED Professional Accreditation program, which administers the LEED ratings exams and awards the certificates, is run by a separate organization: the Green Buildings Certification Institute (GBCI). There are 110 possible points in the LEED rating system, and the awarding of those items by the GBCI is determined by a checklist of qualifications against which a building project is evaluated. In addition, there are a few prerequisite items that a building must meet to qualify for LEED certification, regardless of how many checklist items it merits. An additional ten bonus points are given for Innovation and Design (creative solutions to environmental problems) and Regional Priority (special qualifications uniquely important in the region where the building project is located), raising the total potential score to 110 points. To begin the application process, you must use your Web browser to log on to the Green Building Certification Institute’s (GBCI’S) My Credentials Web site. Unless you already have an account on this site, you’ll need to click on the â€œFirst Time Here?â€ button to go through the registration process and established your user name and password. You may then proceed through the application process, which will include selecting the type of credit or debit card that you will use to pay the exam fee. During the application, you will need to establish your eligibility for taking the LEED certification exam. See LEED Certification Requirements for more details on what these requirements are and how you may establish them to the GBCI. Before taking the exam, you should prepare yourself with knowledge of what the exam will cover. It is strongly advised that you obtain a study guide for the appropriate LEED exam to maximize your chances of receiving a passing score. During registration, you’ll be given a date, time, and location for your exam. You will need to bring identification with you. This should be a valid, unexpired photo ID. This could be a driver’s license, a passport, or a military ID. In addition, you may combine a signed credit card or check card with a signed student ID, employment ID, or alien ID to achieve appropriate identification. You may not use an expired ID or Social Security Card, and any form of ID that you use must have a printed expiration date making clear its currently unexpired status. The first and last names on the ID must match those that you gave on the My Credentials site when registering for the test. If a nickname was used in registration, it must also be used on the ID. The LEED exams are computer administered. You do not need extensive computer knowledge to take the test, and a tutorial will be given in advance to prepare candidates for using the software. You should arrive thirty minutes before your scheduled exam time to give yourself an opportunity to check in and begin the tutorial. If you arrive after the exam time, you will be turned away and will need to reschedule. You will not be allowed to bring bags, food, books, or other materials to the workstation. Lockers will be provided to check in any objects (other than your ID) that you have brought with you to the testing center. You may not leave your workstation during the exam without asking for permission. Your score will be processed within seventy-two hours of completing the exam. If you pass, you will receive formal notification and a certificate from the GBCI within two to three months, though information about your results will be available on the My Credentials Web site after your score has been calculated. The exams are scored in the range of 125 to 200, and you must receive a score of at least 170 to qualify for LEED AP certification in your chosen specialty. In the highly competitive fields of building and construction, interior design, and building maintenance, a LEED AP certificate is a valuable asset not only for finding and holding a job but for receiving higher salaries than the industry norm. LEED Accredited Professionals command a premium on the job market. It will allow you to offer valuable advice to a building, design, and maintenance team on green practices and specific advice on those aspects of construction and maintenance that will allow a building project to achieve a high score in the LEED rating system, including the coveted Platinum Certificate. Employers in the building industry who hire a LEED AP certified professional to work on a project automatically receive one point toward a LEED certificate, giving you value beyond the expertise that you bring to the job. The LEED standards cover the construction of new buildings, the renovation of old ones, interior design, and the operation and maintenance of existing buildings. It is important that companies contemplating the cost of designing or retrofitting a building for green energy and minimal environmental impact (or even improving the environment on which it is built) understand that this cost must be calculated not in terms of immediate costs but on a lifecycle basis. While some elements of green construction may be more expensive than less environmentally friendly measures, one of the most appealing aspects of green construction is that, in the long run, it is often less expensive to maintain and operate a building that is designed to have minimal impact. An obvious example of this is the use of alternative energy sources, many of which are not only cleaner than traditional sources, such as oil, but also less expensive. A building designed to make maximum use of sunlight and solar energy, for instance, will incur fewer energy costs down the road. And a building that uses clean fuels rather than polluting fossil fuels will require less environmental cleanup during the lifecycle of the building. Another area where green construction more than pays for itself is in the health and productivity of the employees. Because of the emphasis on ergonomics in the LEED rating system, employees in a LEED-certified building will be healthier, happier, and more motivated to work. In other words, going green isn’t just the right thing to do. It’s cost effective as well. It is absolutely essential to receive training in green building, design, and maintenance practices before applying for accreditation as a LEED AP. A number of schools offer courses in environmentally friendly building practices that count toward degrees in building specialty fields and courses are available to those who already have their degrees. It is strongly recommended that you obtain a study guide before taking a LEED AP exam to review the specific information that is likely to be covered on the test and to assess your own knowledge against practice questions. You’ll find information scattered throughout this Web site on how to obtain study guides specific to the LEED exam of your choice. The LEED Accredited Professional program certifies you as having a high degree of specialized knowledge in the creation of buildings and neighborhoods that have a minimal negative impact on the environment, that use energy efficiently, and that are healthy and pleasant for the employees who have to work in them or the people who have to live in them. To qualify as a LEED AP, you need to take an accreditation exam. A LEED accreditation exam consists of about eighty questions and takes two hours, not counting an orientation period preceding the test. It is administered by computer, and the results, including whether you have received an accreditation certificate, are available over the Internet within three days of taking the exam. Why become a LEED AP? Employers involved in constructing LEED-certified buildings get credit for hiring certified LEED APs to become part of the project team, so accreditation greatly increases your employability in the building and design field. Passing one of the LEED AP credentialing tests results in the test taker receiving credentials in the LEED AP field or fields of their choice. However, these credentials do not last forever. They must be renewed every two years. The green building and construction field changes rapidly and holders of LEED AP certificates are expected to keep abreast of the latest knowledge in their area of expertise. To that end, the Green Building Certification Institute (GBCI) requires that LEED APs must continue to accumulate continuing education (or CE) hours on a two-year cycle. Two years minus one day after a LEED AP credential is awarded, that credential will expire if no evidence of CD hours has been presented. Before that time, the credential holder must report their CE hours to the GBCI to prevent this expiration. LEED APs must earn thirty CE hours every two years, of which six must be LEED specific. LEED Green Associates must earn fifteen hours, of which three must be LEED specific, to maintain their credential. Reporting of CE hours is done through the My Credentials Web site, with which the certificate holder will have registered prior to the initial credentialing exam. To maintain a LEED AP credential, a $50 renewal fee must be paid every two years. Five to seven percent of the CE hours reported to the GBCI via the My Credentials Web site will be audited to assure their validity. The LEED AP (Accredited Professional) Interior Design and Construction certificate is given to individuals who achieve a passing score on the LEED AP Interior Design and Construction Exam. This certificate is intended for those involved professionally in the design and construction of commercial and tenant spaces within buildings. It demonstrates that the possessor of the certificate is capable of creating a workplace that is not only conducive to a high level of productivity, but that is healthy and comfortable for those who work there. LEED Interior Design and Construction professionals have a deep knowledge of what makes a workplace pleasant for its occupants and know how to make the workspace less costly to maintain and operate. LEED AP Interior Design and Construction professionals hired to work on a construction project will be able to offer assistance in bringing the building up to the standards that can win it LEED certification from the Green Buildings Certification Institute (GBCI). Subjects include connectivity to community services and lighting development. Subjects include water treatment, storm water, and special equipment needs. Subjects include energy performance policies, building components, on-site renewable energy, energy performance measurement, energy usage and tradeoffs, and specialized equipment power needs. Subjects include building material re-use, rapidly renewable materials, material acquisition, chemical management policy, and environmental management plan. Subjects include minimum ventilation requirements, tobacco smoke control, air quality, ventilation effectiveness, indoor air quality, low-emitting materials, chemical and pollutant control, lighting controls, thermal controls, views, ergonomics, acoustics, and types of building spaces. Subjects include design workshop, ways to earn credits, education of the homeowner or tenant, and education of the building manager. Subjects include available community resources, reduced parking methods, transit-oriented development, and ADA/universal access. *The discounted fee for full-time employees of the United States Green Building Council and Canadian Green Building Council national member companies is $300. **The discounted fee for full-time employees of the United States Green Building Council and Canadian Green Building Council national member companies is $150. The LEED AP (Accredited Professional) Operations and Maintenance certificate is given to individuals who achieve a passing score on the LEED AP Operations and Maintenance Exam. This certificate is intended for those who work in the operation and maintenance phases of existing buildings and signifies a high degree of expertise in lowering the environmental impact of the building’s operations and using sustainable energy sources in those operations. LEED AP Operations and Maintenance professionals hired to work on a construction project will be able to offer assistance in bringing the building up to the standards that can win it LEED certification from the Green Buildings Certification Institute (GBCI). Subjects include lighting, green management, and climate conditions. Subjects include water treatment, storm water, irrigation demand, and chemical management. Subjects include energy performance policies, building components, on-site renewable energy, energy performance measurement, energy tradeoffs and sources, energy usage, and specialized equipment power needs. Subjects include materials reuse, rapidly renewable materials, food materials, material acquisition, chemical management policy, and environmental management plan. Subjects include minimum ventilation requirements, tobacco smoke control, air quality, ventilation effectiveness, indoor air quality, low-emitting materials, chemical and pollutant controls, lighting controls, thermal controls, and views and types of building spaces. Subjects include design workshop, ways to earn credits, and education of building manager and operating staff. Subjects include infrastructure, zoning requirements, government planning agencies, traffic studies, reduced parking methods, and ADA/universal access. The LEED AP (Accredited Professional) Homes certificate is given to individuals who achieve a passing score on the LEED AP Homes Exam. This certificate is intended for those involved in the design and construction of healthy, comfortable, livable homes and signifies a high degree of expertise in using fewer natural resources, generating less waste, and using energy efficiently in such homes. LEED AP Homes professionals hired to work on a home-building project will be able to offer advice in assistance in bringing the building up to the standards that can win it LEED certification from the Green Buildings Certification Institute (GBCI). Subjects include site selection, connectivity with community services, development, green management, and climate conditions. Subjects include water treatment, storm water, and irrigation demand. Subjects include energy performance policies, building components, on-site renewable energy, energy performance management, energy tradeoffs, energy usage, and specialized equipment power needs. Subjects include building materials reuse, rapidly renewable materials, material acquisition, and neutral homes. Subjects include minimum ventilation requirements, tobacco smoke control, air quality, ventilation effectiveness, indoor air quality, low-emitting materials, chemical and pollutant control, light controls, thermal controls, views, acoustics, and residential requirements. Subjects include design workshop, ways to earn credit, education of homeowner or tenant, and education of building manager. Subjects include preferred location, infrastructure, available community resources, site selection in collaboration with developer, zoning requirements, government planning agencies, planning terminology, land-development phases, public-private partnership, development footprint reduction methods, reduced parking methods, transit-oriented development, pedestrian-oriented streetscape design, ADA/universal access, and streetscape planning. The LEED AP (Accredited Professional) Neighborhood Development certificate is given to individuals who achieve a passing score on the LEED AP Neighborhood Development Exam. This certificate is intended for those involved professionally in developing neighborhoods that do minimal damage to the environment and that use energy in a responsible, sustainable way. LEED AP Neighborhood Development professionals hired to work on a construction project will be able to offer advice in assistance in bringing the building up to the standards that can win it LEED certification from the Green Buildings Certification Institute (GBCI). Subjects include water treatment, storm water, and irrigation. Subjects include energy performance policies, on-site renewable energy, energy tradeoffs, and sources. Subjects include preferred location, infrastructure, available community resources, site selection in collaboration with developer, zoning requirements, government planning agencies, planning terminology, land development phases, demographics, public meetings, public-private partnerships, development footprint reduction methods, high-priority development areas, traffic studies, reduced parking methods, transit-oriented development, pedestrian-oriented streetscape design, ADA/universal access, streetscape planning, and historical considerations. The fee for the LEED AP Neighborhood Exam differs depending on whether it is taken in combination with the LEED Green Associate Exam (required for the certificate) or separately. The criteria for these ratings were developed by a consensus of experts in the building and development field. They reflect current knowledge of best practices in green construction and are evolving over time as practices change, new technologies evolve, and environmental needs are better understood. The U.S. Green Building Council (USGBC) was founded in 1993 with the goal of promoting sustainable building design and operation. It spearheaded the creation of a rating system for the environmental friendliness of buildings and neighborhoods, organizes conferences on sustainable development, and generally promotes the green building industry. It is not a government agency. It is a private, nonprofit organization. It has 78 local affiliates, more than 18,000 member organizations, and more than 140,000 LEED AP credential holders. For their own description of their organization, visit their Web site. Among the organization’s projects are the LEED Green Building Rating Systemâ„¢, educational programs, the Greenbuild International Conference and Expo, and an ongoing program of advocacy for green building practices. Their Emerging Professionals program helps provide education and resources for future leaders in the green building industry. The Green Buildings Certification Institute (GBCI) was established in January 2008. Although it is a separate organization from the U.S. Green Building Council (USGBC), it was created specifically to administer the LEED Green Building Accreditation system developed originally by the USGBC for rating buildings by the degree to which they adhere to good practices for running environmentally friendly, energy efficient, ergonomic buildings, homes, and neighborhoods. The GBCI is an independent, third-party organization not directly affiliated with the USGBC or the government. They oversee the LEED AP Credential Maintenance Program, under which they assure that LEED credentials continue to reflect state-of-the-art criteria for green building and construction and that those who hold LEED AP credentials participate in continuing education in a rapidly changing field where standards and practices are changing on a nearly daily basis. Once you apply for a LEED exam at the My Credentials Web site, you have one year to take and pass the LEED exam. If you take an exam and do not pass on your first attempt, you are allowed two more attempts within the year following your initial application to achieve a passing score. If you still have not passed the test, your application ceases to be valid. You may sign up for a new application, following the same procedures as for the original, but there is a three-month blackout period after the previous application expires before you may make a new application. Just as before, the application process will require that you document your eligible participation in a project that was registered for LEED certification. This experience must fall within the same eligibility period as beforeâ€”that is, it must have occurred within three years prior to the application. This means that it is possible that the experience that qualified you for your initial LEED application will have expired by the time you reapply. As before, the evidence for your experience must be properly documented and is subject to random auditing for verification. 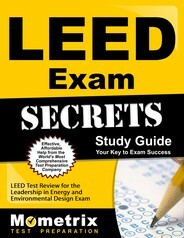 Ace the LEED Certification test using our LEED Certification exam study guide with practice questions. 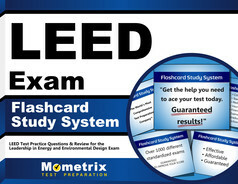 Quickly Solve Difficult LEED Certification Test Questions with the LEED Certification Flashcard Study System.